Jesse and Brittany discuss the results of the California Primary Election and the fun times at Harley Rouda’s election party, listener emails and voicemails related to masculinity, Samantha Bee’s use of the naughty word, and the political climate, Sarah Huckabee Sanders’ refusal to answer questions and take responsibility for her false statements, Bill Clinton’s response to the #MeToo movement and non-apology to Monica Lewinsky, and A$$hole of Today featuring Ted Cruz! Jesse and Brittany discuss the threat on Vic Berger’s life at the hands of Gavin McInnes and the Proud Boys, reporting on the Pope’s private conversation in which he said gay people are born that way, Donald Trump’s war with Amazon, the continued corruption in the Trump Administration, and A$$hole of Today featuring Dr. George Tyndall. 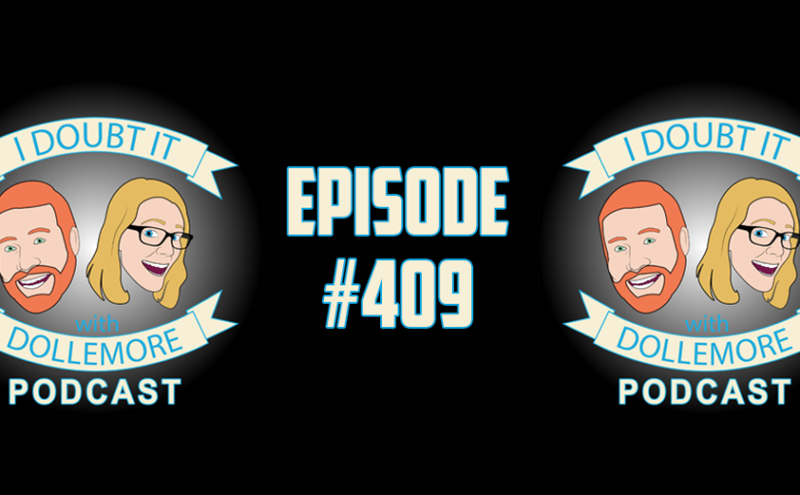 Jesse and Brittany discuss their upcoming 400th episode, the new Patreon contest, Tony Robbins’ #MeToo movement comments and subsequent apology, a Washington Post survey describing the differences between men and women and Republicans and Democrats on their perception of the #MeToo movement, Sean Hannity’s conspiracy theories about Robert Mueller presented on Fox News, Donald Trump’s belief that he can fire Robert Mueller, Wendy Vitter’s confirmation hearing and alarming response to a question about the Supreme Court’s ruling on Brown vs. Board of Education, and A$$hole of Today featuring Jenna Browder and David Brody of Christian Broadcasting Network. #381 – “Jordan B. Peterson Logic, Omarosa’s Acting, “I’m Not Gonna Say It, But I’m Gonna Say It…”, Trump’s Long History of Protecting Abusers, and A$$hole of Today featuring Kevin Swanson. Jesse and Brittany discuss the Vice News interview with Jordan B. Peterson, listener emails and voicemails related to Donald Trump, hate-listening, and #MeToo, Omarosa’s whispering on Big Brother, the classic “I’m not gonna say, but I’m gonna say it,” Donald Trump’s long history of ignoring victims and siding with abusers, and A$$hole of Today featuring Kevin Swanson. Format AudioPosted on February 11, 2018 Categories PodcastsTags alt- right, assault, Bill Clinton, Bill O'Reilly, Clinton, Conservative, Democrat, Domestic Violence, Donald Trump, Feminism, Hillary Clinton, Hope Hicks, J Tapp, Jake Tapper, John Kelly, John Travolta, Jordan B. Peterson politics, Jordan Peterson, JTAP, Jtapp, Kevin Swanson, Liberal, masculinity, MRA, Omarosa, President Donald Trump, President Trump, religion, Republican, Rob Porter, Roger Ailes, Sexual Assault, toxic masculinity, Trump, truth weiner, Truth Wiener, Vice, Vice News, White HouseLeave a comment on #381 – “Jordan B. Peterson Logic, Omarosa’s Acting, “I’m Not Gonna Say It, But I’m Gonna Say It…”, Trump’s Long History of Protecting Abusers, and A$$hole of Today featuring Kevin Swanson. Jesse and Brittany discuss the latest in the world of death threats and advocating violence due to a difference in political beliefs, Panera Bread’s challenge to other fast food restaurants to use real eggs like they do, Hillary Clinton’s failure to fire her top campaign aide following sexual harassment allegations in 2008, Scott Baio’s #MeToo moment, Donald Trump’s interview with Piers Morgan in which he did not apologize for retweeting Jayda Fransen/Britain First’s propaganda, the continued developments in the Mueller investigation, including Fox News’ denial of reality, and A$$hole of Today featuring Judge Jeanine Pirro. Jesse and Brittany discuss the five-and-a-half-foot tapeworm from Fresno, Judge Rosemarie Aquilina’s beautiful advocacy for victims and sentence for Larry Nassar, Sarah Huckabee Sanders’ exchange with Peter Alexander about the 11 school shootings so far in 2018, the Evangelical Christian reaction to Donald Trump’s affair with Stormy Daniels, and A$$hole of Today featuring Lynne Patton. Jesse and Brittany discuss their narrow escape from mail jail, Dan Harmon’s apology for sexual harassment of his former employee, Donald Trump’s racist comments about “$hithole countries” including reactions from Democrats and Republicans to his statements, an old Jim Acosta vs. Stephen Miller clip when Acosta hits the nail on the head, Anderson Cooper’s reaction to the racist comments from Donald Trump, Jesse Watters’ on Fox News describing how Donald Trump talks the way the forgotten men and women talk in bars (or something not profound like that), Sarah Huckabee Sanders’ dismissal of important questions during the press briefing, and Takin’ Care of Biz featuring Dutch journalists (in honor of Nikki from the Netherlands).